CAPCOM | Resident Evil 2 Ships 3 Million Units Worldwide in First Week of Sales! 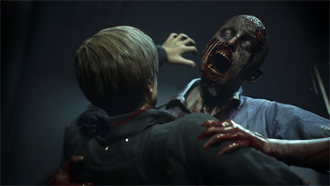 Capcom Co., Ltd. (Capcom) today announced that Resident Evil 2 for the PlayStation®4 computer entertainment system, the Xbox One family of devices including the Xbox One X, and PC has shipped 3 million units globally. Capcom remains firmly committed to satisfying the expectations of all stakeholders by leveraging its industry-leading game development capabilities in order to create highly entertaining gameplay experiences. Microsoft and Xbox One are either registered trademarks or trademarks of Microsoft Corporation in the United States and/or other countries.